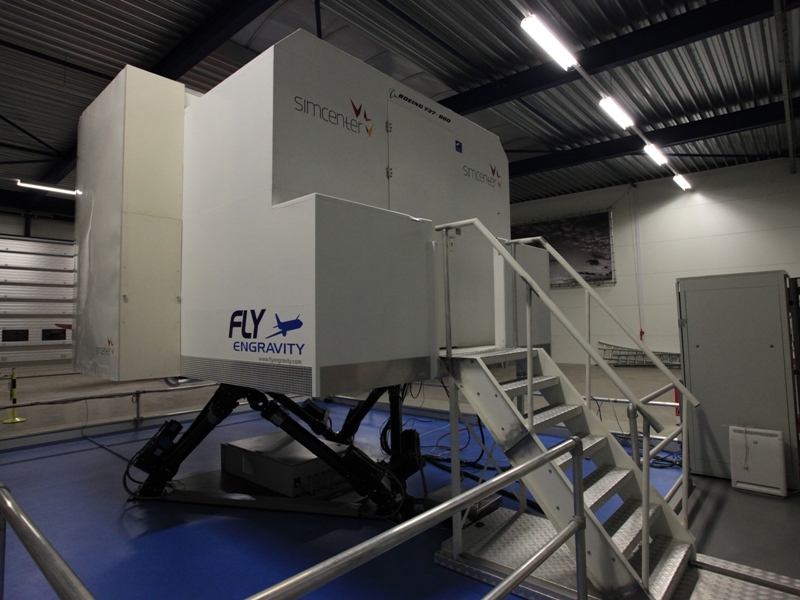 Full motion Boeing 737-8NG simulator. We are back from Amsterdam more precisely FsWeekend 2014 at Lelystad airport. Specialty this year was a visit to a full motion Boeing 737-8NG simulator. From previous visits, I knew there was also a Simcenter at the airport, with non certified full flight 737NG simulator. I always wanted to tray a full flight simulator but always assumed that during FsWeekend it will be fully booked. Oh, how was I wrong! One of friends managed to a book hour and a half simulation slot on a day of our arrival. Now that’s what I call introduction to FsWeekend. We started with initial briefing on the 737 mockup. Something new for Airbus guys but we quickly came quite familiar with it. We didn’t have a plan what we would like to do in a simulator so we gave in to basic simulator course instructor suggested. We started with traffic patterns, I know this may seem boring, but with full motion! Uau, this is really something completely different. You can feel when plane starts accelerating down the runway as you are pushed back into the seat. The feel of the liftoff, incredible, your but becomes one of the flight instrument. Not to mention landings and braking, when you feel touchdown and braking forces. Suddenly we no longer felt the need for those nice soft landings, let them be just a little bit tougher, lets see this motion in work. 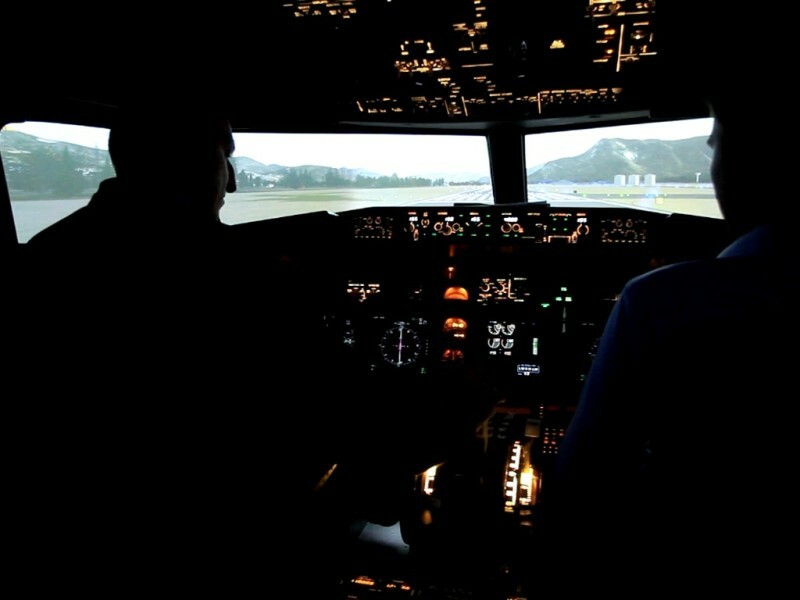 Although this simulator is based on MS Flight simulator 9 and the 737 cockpit is made out of replicas you forget all that once you are in the air as 6DOF motion really makes this unforgettable flying experience. Now I want motion on my sim, probably I need a hangar first! 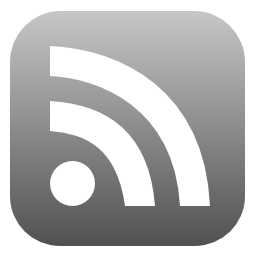 ← Interfacing Radio management panel (RMP).